Do You Need A Disaster Recovery Solution or is Backup Enough? As a business owner, you have a responsibility to your customers to keep their data safe and secure. Cyber attacks are on the increase, and they’re targeting small companies as much as large organisations. If you fall victim to an attack, you’re at risk of not only losing information but of your daily work being disrupted with time spent on trying to fix the problem instead of routine tasks, and a real risk of severe financial loss if things are down for a while. Data backup, or data recovery, is primarily about getting back information that’s been lost, corrupted, deleted or otherwise altered by cyber breaches. It will also restore data from an earlier period of time, but in a busy work environment, when updates are happening constantly, it isn’t wise to rely on data which could quickly become out of date. To be effective, your backup solution needs to have at least one full copy of all the lost data so it can be restored. This can be a large amount of information, so you need to consider where it’s stored, how secure the storage is and how quickly data recovery can take place. A ‘disaster’ in terms of your IT systems refers to a server failure, a cyber-attack or any kind of data breach. If any of those things happen, it’s essential to recover any lost data and get everything going again. Remember, you have a legal requirement to keep your data backed up, and doing this regularly means the only information you lose is anything newly created or updated since the last backup point, reducing the amount of lost data. 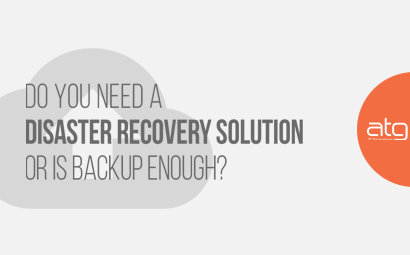 Disaster recovery means that all your data is securely stored in the cloud. As it’s encrypted, a simple click of a button is enough to restore it, no matter what happens, and it saves time on restoring systems. Being proactive about data recovery protects you against any big problems later. Ransomware is a form of malware and can appear on any computer within your network if someone clicks a link or opens an attachment from an unknown source which causes malicious software to be installed on the machine, and potentially the server. The main problem is that a third party is controlling everything, and if you don’t have ransomware recovery in place, it may take a while to get back lost data. 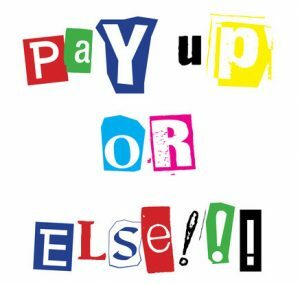 In any situation, NEVER pay the ransom, because there’s no guarantee you’ll get anything back. In the event of a disaster, things should be business as usual. Internal and customer information needs to be secured quickly to prevent data loss, and there needs to be little to no disruption for your staff and customers. Ideally, your customers won’t even know there’s been a problem, but if it’s unavoidable, let them know as soon as possible that something’s happened, and make an effort to keep them updated. Don’t make them chase you. If your staff can’t get on with their daily work or communicate with each other, you’re losing money straight away and risking future income as well. Data recovery and system restore need to take place in the background, and everything needs to be secure while this happens. To ensure business continuity, support your staff to keep working as normal, and have a few people as possible dealing with data recovery. It’s preferable if an IT support company can fix things for you. What’s the Solution for Your Business? If something goes wrong, due to human error, hacking or even a system failure, having your business data backed up is the least you’ll need to fix things. However, backup solutions alone are not sufficient, especially if your entire system crashes or you have complex servers to restore. It may also be time-consuming. Instead, you need a robust solution that goes alongside your data backup, and the best option would include both disaster and ransomware recovery, with data restored quickly from the cloud, and a business continuity system in place to keep things ticking over until there’s a fix. 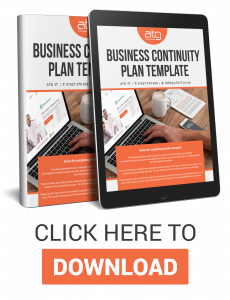 To help you work out what’s best for you and your business, download our FREE business continuity plan template for SMBs.